Roelof van Laar (MBA) is a social entrepeneur. He is the founder of Free a Girl, was a Member of Parliament and has fullfilled a multitude of positions. Roelof is known for his no-nonsense approach and sharp focus. Free a Girl is an organization against commercial sexual exploitation of children. It was founded by Yolanthe Sneijder Cabau, Evelien Hölsken, Arjan Erkel and Roelof van Laar in 2008. Evelien and Roelof became directors, Yolanthe and Arjan ambassadors. In 2010 turnover reached a million euro and it has risen ever since. Roelof left the board of directors when he became a Member of Parliament in 2013. As a Member of Parliament, Roelof wrote an initiative law on mandatory due diligence for child labour and got it passed. He moved over one hundred and fifty million euro to fight children’s rights issues and fought for the rights of girls, SRHR, increased child allowences, gender equality and against child marriage. 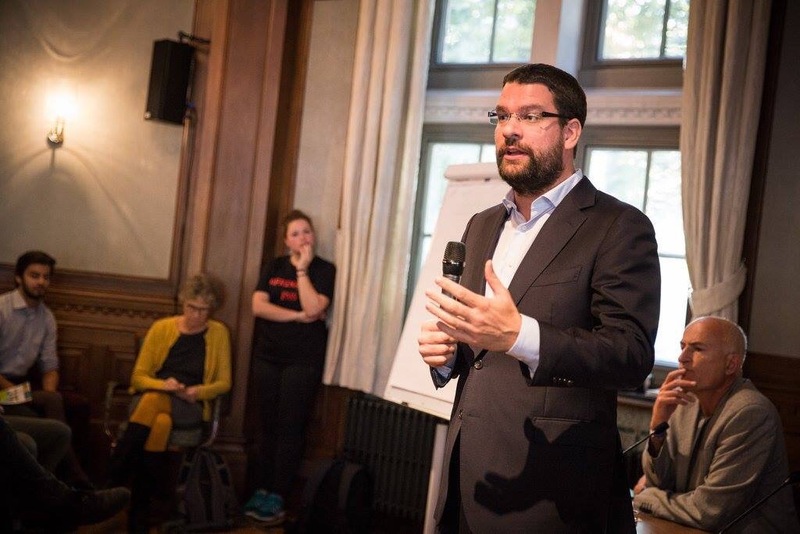 Before becoming a member of parliament, Roelof was a member of the Leiden city council, the boards of Nieuw IS, COS Haaglanden, children’s fund Pekoenja and student association SOL and he worked for various organisations focussing on children’s rights. Children's Rights Challenge finds taylor made solutions for any challenge to improve children's rights.